Impression Plus Series® Water Softeners Soft water for you and your household. Whether you need to treat hard municipal water or want a well water system, Impression Plus Series® water softeners deliver the clear, soft water you want and need. An easy-to-read, backlit LED screen and user-friendly console allow you to monitor all operating functions. Pentek Intellidrive Fully Programmable Drive – Easily programmable for a variety of applications and specific settings. 34 Adjustable Programming Parameters – Provides ultimate flexibility to fine-tune system operation. EMI/RFI Filters – Eliminate potential interference. Removable/Replaceable Terminal Blocks – For easy wiring of motor and power supply. Best In Class Lightning Protection. New Residential Water Conditioning System Before and After shots. Always leaving the site better than found it. 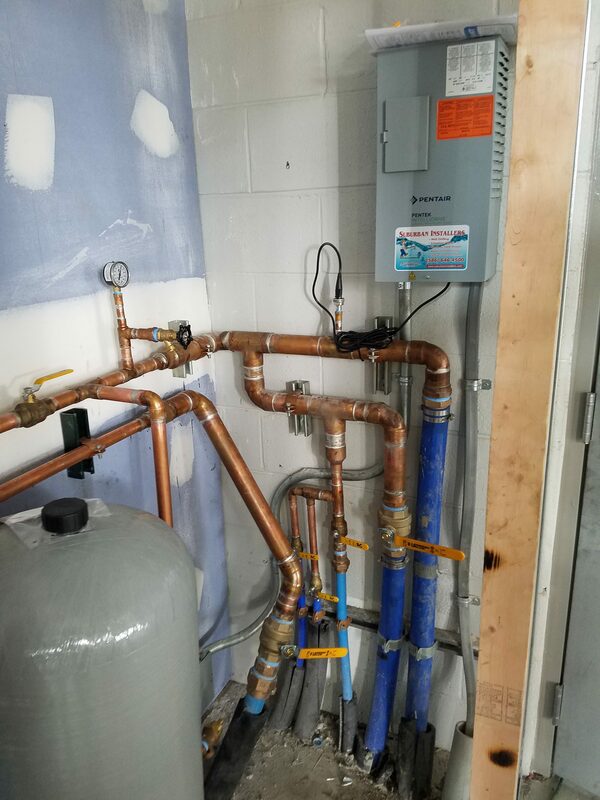 Water Conditioning Replacement Before and After shots of an industrial water conditioning system. Our installs are perfection.